Now that the year is wrapping up, we're running down our most popular recipes of 2018! We already revealed the top lunch & dinner dishes… Now it's time for the year’s best desserts. Pin ‘em. Save ‘em. Share ‘em! Most boxed cake mixes instruct you to add oil and eggs, but we've found a better way. 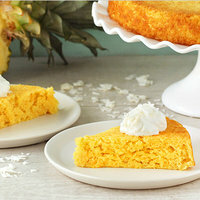 Instead of adding fat, add flavor: In this case, canned crushed pineapple! 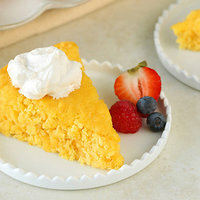 The tropical taste is basically the perfect complement to yellow cake. 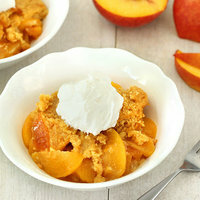 With this recipe, you don't even need to drain the fruit… Just stir and bake! 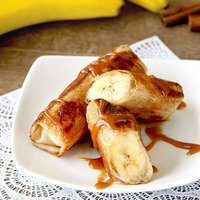 This unconventional recipe is baked (not fried) and way easier to whip up than you might think! There are only five ingredients in total, and it takes just 15 minutes to make. If you want a dessert that'll impress your dinner date and your taste buds, look no further. It’s crispy on the outside, gooey on the inside, and all-around amazing! 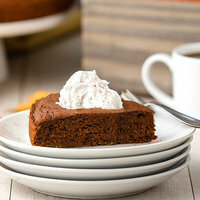 This cake just debuted a month ago, but it’s already one of the most popular desserts of the year! Inspired by everyone’s favorite seasonal Starbucks drink, it’s the perfect combo of pumpkin, spice, and everything YUM. 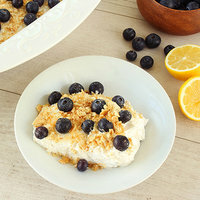 And with just three simple ingredients that are probably already in your pantry, it’s a winner for anyone who doesn’t have the time or patience for fussy dessert recipes! What do we want? 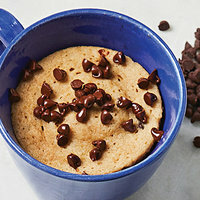 A calorie-slashed chocolate chip muffin! When do we want it? In 20 minutes or less! How many of them do we want? Just one, thanks. This recipe ticks all the boxes! And yes, it’s technically more of a breakfast item than a dessert, but we say no sweet treat should be left behind. We knew this slow-cooked creation would be a HIT the first time we tasted it. It's got cake appeal with a cobbler twist, and it could hardly be any easier to make. We're so crazy about the concept of lightened-up slow-cooker dump cake that we’ve got more variations in the works… Stay tuned! 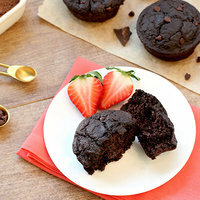 Is it any surprise that chocolate-chip chocolate muffins under 100 calories would stir up some attention? Not at all. Factor in the easy-cleanup twist of batter made in the blender, and you’ve got one of the year’s best desserts in front of you… that can also double as a breakfast treat! For more blender-batter goodness, click right here. It's the last day of November, a.k.a. National Peanut Butter Lovers Month. No time like the present for some PB ‘Nana Fudge! Click “Send to a Friend” now!